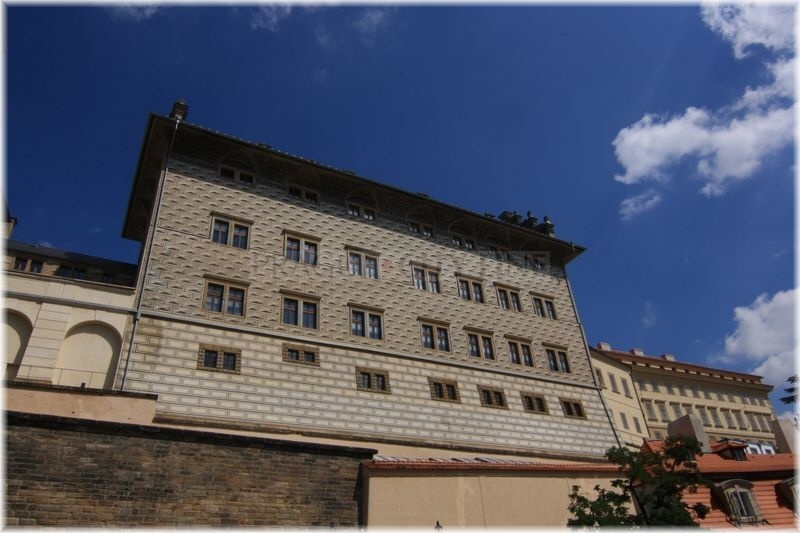 The palace replaced 7 houses after the great fire of the Prague Castle of 1541. 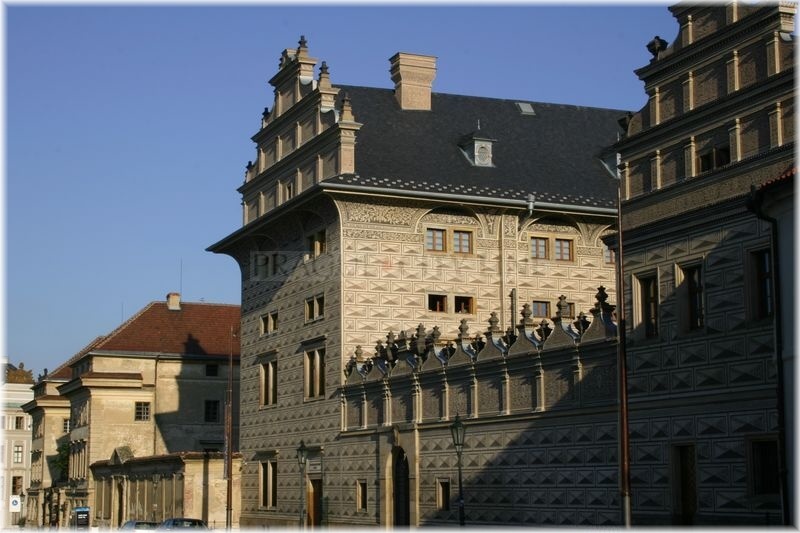 The construction works were most probably performed between 1545 – 1567 based on the project of Augustin Vlach to meet the needs of the Czech aristocratic Lobkowitz Dynasty. It is curious for this period that the Lobkowitz dynasty lost the palace, apparently because they had insulted His Majesty Emperor Rudolph II. 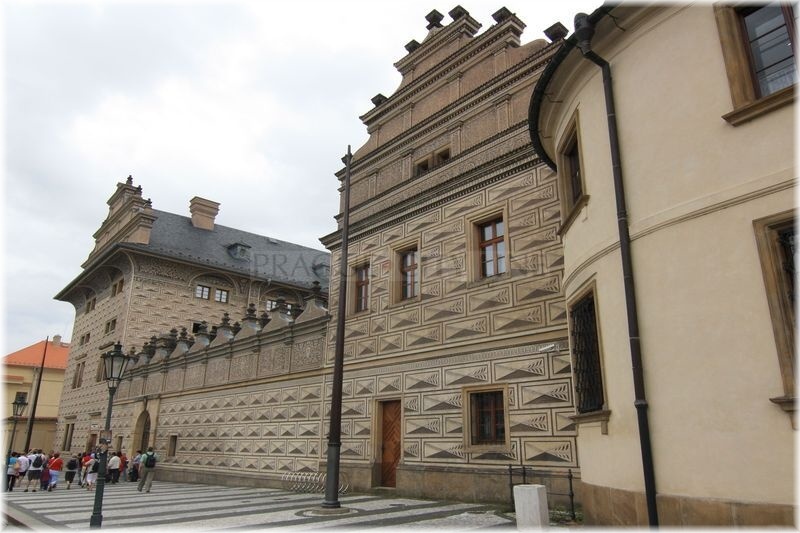 The Emperor consequently handed the palace over to Petr Vok of Rosenberg who in return for that gained the Rosenberg Palace in the Prague Castle. 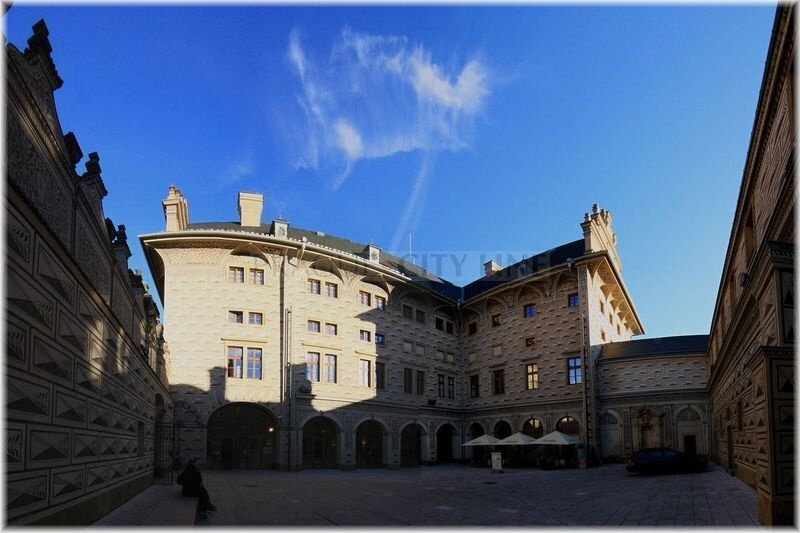 The palace changed its owner in 1719 when it due to a marriage became a property of the Schwarzenberg family. This dynasty also gained the neighbouring Salma Palace. After 1948 the family residence became a Museum of the Military History. 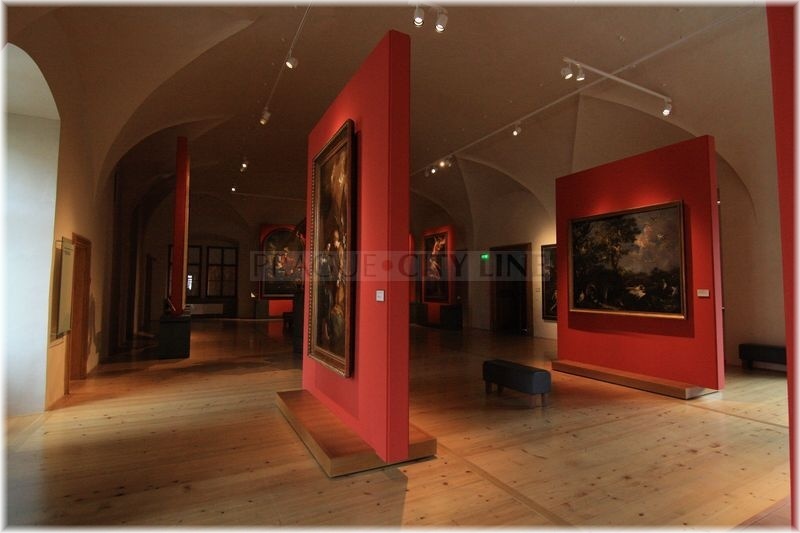 The palace changed its owner again in 2002, this time it was The National Gallery of Prague. 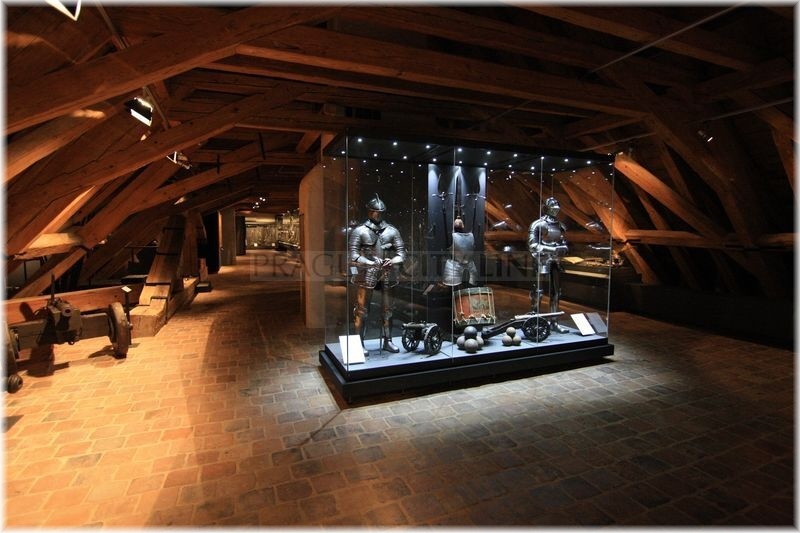 Then an extensive reconstruction folowed. Since 2008, the palace has been used as an art gallery. The structure is built in the T-layout. Certainly everybody will notice the dominant sgrafitto decorations. Sgrafitto is a decorative technique based on the application of two mortar layers. After the mortar layers are apllied handy craftsmen scratch through the top layer until they reach the black bottom layer and a coloured ornament is created on the wall. You should notice another detail here – the so-called lunette cornice. The wall of the brickwall is just underneath the brickwork curved by a quarter arch. 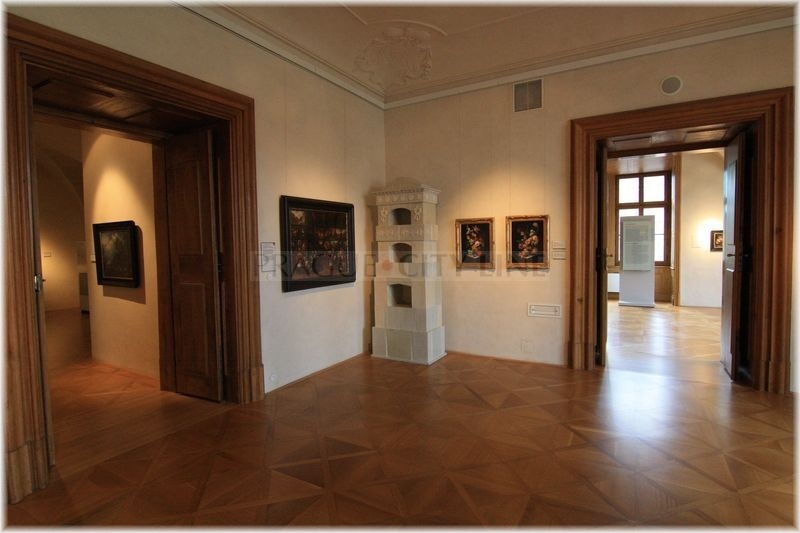 In the interior you can take a look at the rich and extant ceiling paintings from the period around 1580. There used to be a magnificent and extensive dance hall in the past. The ceilings of the four halls in the second floor are decorated by the original Renaissance paintings with animal motives and scenes from the ancient mythology. What can we see during your visit? 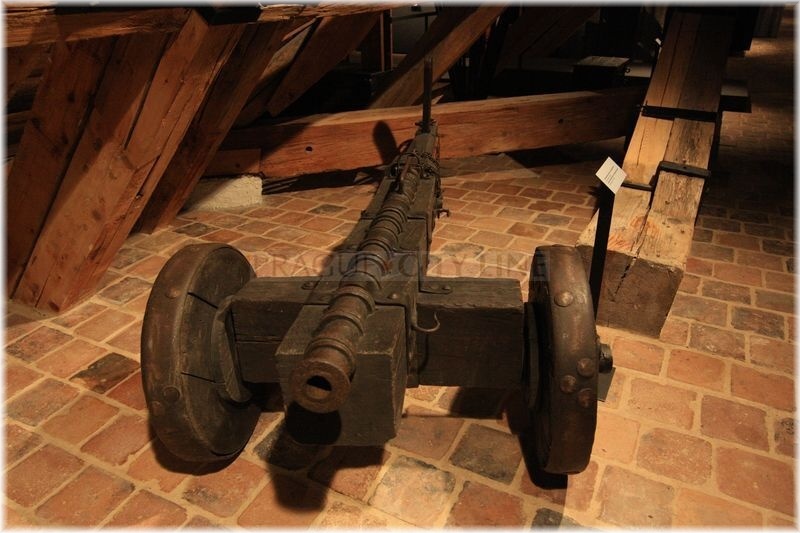 After the the object had been handed over by the Ministry of Defence of the Czech Republic to The National Gallery an expensive reconstruction works were carried out to save this historic sight. During the reconstruction also the exceptional Baroque palace attic rooms were renovated. It is a rarity that all the building material taken out from the original buildings was used again. This way even the original wooden floors, ceramic tiles and bricks were saved. We also need to mention another rarity – the well-preserved garderobe shaft from which sewage was flowing down the nearby Nerudova street. The architect who participated in the reconstruction involved also some modern elements – such as the glass elevator which he incorporated right into the shaft. Also the original tiled stove was renovated, which, unfortunately, is no more functional. 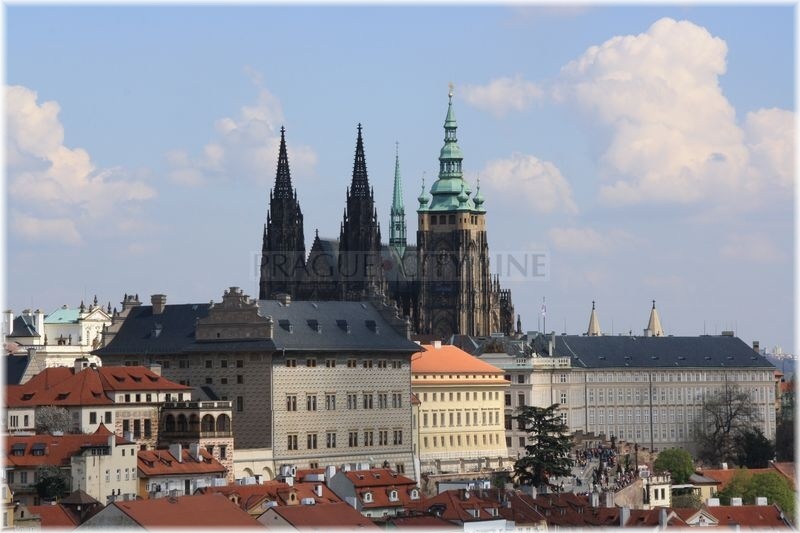 The total reconstruction costs have reached 260 million Czech Crowns. 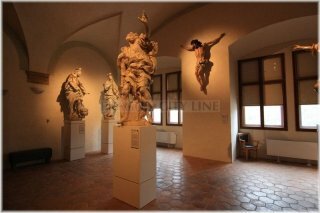 At present, you can also find here a permanent exposition of the Collection of the Old Masters of the National Gallery in Prague called Baroque in Bohemia. You cannot overlook the palace, it is the most beautiful Renaissance structure with the unique envelope-shaped sgrafitto work. Opened daily (excl. 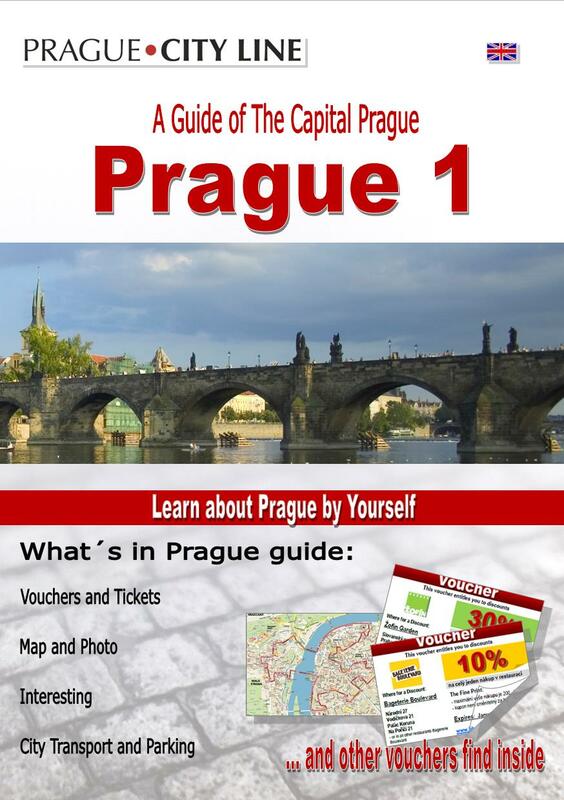 Mondays) 10 am – 18 pm. Tickets are valid for the entire structure and all ongoing exhibitions in it. Taking pictures is possible only without a flash. School groups – students, pupils with a teacher. Schwarzenberg Palace (Schwarzenberský palác) 50.089070, 14.396899 Schwarzenberg Palace (Schwarzenberský palác) In Hradčanské Square you will find the pearl among the Renaissance houses of Prague. However, to classify it as a house is not exact because it is a really impressive palace. Would you like to know which palace we are mentioning? 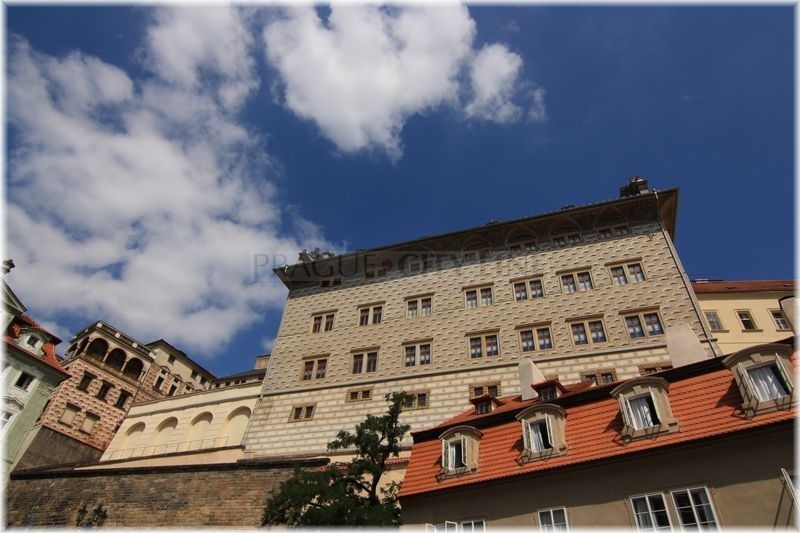 Schwarzenberg Palace, the residence of the National Gallery in Prague.